We love when creativity strikes and old items get upcycled. 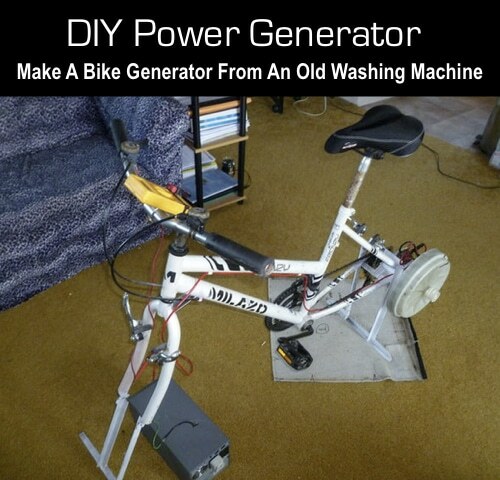 We found a great article by a guy who turned his old washing machine motor into a power generator and connected it to an old stationary bike. With his finished unit, he is able to pedal the bike to generate enough electricity to run a 21″ CRT TV and a 50W pedestal fan without much effort.